9.1???? Organisation Review Report ???? The report lists three workable models for an organisation structure.? Two of the models concern an organisation structure with two Directors and the other model concerns a structure with three Directors.? Taking cost into consideration, the major choice relates to whether Council continues to operate without a Director Corporate Services or whether the General Manager instead assumes operational responsibility for the Environment and Planning function and Council incorporates a Director Corporate Services in its organisation structure. 1??????? That Council make a definite decision to change its organisation structure in accordance with Model 1 and undertake consultation with affected staff and their unions in accordance with the Local Government (State) Award 2010. 2??????? That Council immediately recruit for a Payroll Officer, full time Ranger, Property Officer, Manager Development and Building Services, Cadet Accountant and Cadet Civil Engineer being the vacant positions in the current and proposed structure. 3??????? That Council immediately recruit for a Librarian, this position being required as a consequence of Council?s decision not to renew its agreement with the Clarence Regional Library.? Further that the position of Librarian be added to Council?s organisation structure. Whilst all three models are considered workable, the order of preference is based on the known cost savings, ie from least cost to most cost.? Therefore Model 1 is preferred, Model 2 is second preferred and Model 3 is the least preferred. There is obviously potential to mix different aspects of each model.? For example the recommended changes to the role of the Manager Civil Works can be deleted from each model.? Similarly the proposed Business Support Unit can be deleted from Model 2 and Model 3. ?That Council receive a report on an organisation structure that would give effect to having two Directors as well as three Directors down to the management level.? Further, that the proposal for the third Director include an additional budget allocation for that position.? The matter is to come to a Special Meeting of Council as quickly as possible?. The following discussion lists three workable models for an organisation structure.? Two of the models concern an organisation structure with two Directors and the other model concerns a structure with three Directors.? Given the recommendations from the Organisation Review Report and the concerns expressed in staff and Union submissions, it is necessary to report on the structure below management level where it is intended to change reporting arrangements. There is discussion about the differences between the models and their respective strengths and weaknesses.? The cost of each model relative to the organisation structure which included the Manager Planning and Assessment is also indicated.? Costs are reported as salary, superannuation and motor vehicle (if applicable).? There are other ?on costs? related to workers compensation and administrative overheads which are more difficult to attribute to individual staff and for this reason have been excluded. The report is presented to the open meeting but under Section 10A of the Local Government Act, the Council may close to the public so much of its meeting as concerns personnel matters concerning particular individuals.? Similarly it may close to the public so much of its meeting as concerns advice concerning litigation, or advice that would otherwise be privileged from production in legal proceedings on the ground of legal professional privilege.? It is recommended that if Council wishes to discuss personnel matters concerning particular individuals, that the meeting be adjourned into closed on both these grounds. When reviewing an organisation structure it is important not to mix considerations about the structure which will deliver the most cost (and revenue) effective outcome with issues about the performance of particular individuals.? The Local Government State Award 2010 sets out a process for the latter which provides for procedural fairness.? To do otherwise will diminish Council?s standing as an employer, reduce the onus on management to actively manage performance, and produce on-going rounds of organisational review which Council staff will find unsettling and demoralising.? Council?s Code of Conduct also provides that the General Manager is responsible for the efficient and effective operation of the Council?s organisation. For the purposes of comparison, the Organisation Structure adopted by Council on 3 November 2011 is attached. All of the submissions which have been received from Council?s Consultative Committee and staff in response to the organisation review report and these proposals are also attached. 1.?? Previously an Executive Assistant in Corporate Services has undertaken surplus word processing work for Engineering Services.? It is proposed that the arrangement be reversed with the Executive Assistant to relocate to Engineering Services freeing up time for the Engineering Support Officer to undertake additional work in the collection of data on asset condition.? Any surplus word processing from Corporate Services would go to Engineering Services.? There is no cost associated with this change. 2.?? Consistent with the employment arrangements for the General Manager and Director Engineering Services, it is proposed that the employment arrangements for the Director Environment and Planning change from permanent to a 5 year fixed term renewable contract.? Section 338 of the Local Government Act 1993 provides that the General Manager and other senior staff of a council are to be employed under performance based contracts of not less than 12 months nor more than 5 years duration.? This change provides the requisite accountability for the most important and highly remunerated management positions in the Council.? There is a minimum total remuneration package for ?senior (contracted) staff? which means an additional remuneration cost of approximately $5,700 per annum. 3.?? There is a Manager Development and Building Services position proposed in the Environment and Planning Department.? Compared to the Organisation Structure pre November 2011 when the Department had two Managers, this represents a saving of approximately $100,000 per annum. 4.?? Council has tried to operate with a Ranger position at 22.5 hours per week.? The workload for compliance matters justifies a full time position, particularly in the summer months and the growing season.? Council has also had significant problems in recruiting and retaining a part time Ranger.? It is recommended that the Organisation Structure incorporate a full time Ranger at 38 hours per week.? The additional cost would be $22,000 per annum.? Some of this cost will be offset by revenue from fines, fees and charges. 5.?? The Environment and Planning Department is responsible for the compliance program for on-site sewage management systems (septic tanks) and also food shops. These are important programs necessary to ensure public and environmental health and safety.? There are approximately 3,500 on site sewage management systems in the local government area which require periodic inspection.? There are also 110 shops serving food in the local government area which also require periodic inspection.? The contractor who has undertaken the ?septic tank? inspections has advised he will be retiring on 30 June 2012.? Council has mainly used a contractor to undertake inspections of food shops.? So as to better integrate the compliance inspections with the serving of orders and legal action arising out of inspections, it is proposed to employ an Environmental Health Surveyor in lieu of contractors.? Council undertakes ?septic tank? and food shop inspections on a fee for service basis.? About 900 septic tank inspections are undertaken each year at a fee of $131 per inspection.? There should be no or minimal cost associated with a change from using contractors to Council staff. 6.?? The existing structure provides that the Manager Civil Works is responsible for all construction and maintenance programs undertaken by Council?s outdoor works crews (with the exception of water and sewerage).? Underneath the Manager Civil Works are the Senior Overseer and Overseer who direct the crews.? The hierarchy of the Senior Overseer reporting to the Manager Civil Works who in turn reports to the Director Engineering Services has been in place for many years.? The day to day reporting arrangements indicate a flatter structure with instructions and feedback often occurring via a direct report between the Senior Overseer and the Director.? It is proposed that the structure actually reflect the practice, but with enhanced accountability for Council?s construction and maintenance programs.? The positions of Manager Civil Works and Senior Overseer should be redesigned with one of the positions to be responsible for the capital works program and the other position to be responsible for the maintenance program.? There may be an additional remuneration cost for the redesigned role of the Senior Overseer.? This can only be determined when a revised position description has been assessed under the salary system. 7.?? Council?s Manager Assets was employed on a 3 year fixed term contract which expires on 10 January 2013.? Changes to the Local Government Award in 2010 mean that Council cannot renew the contract.? Therefore Council must decide whether it wishes to make it a permanent position or remove it from the structure and give notice to the employee.? The consultation undertaken in the preparation of the community strategic plan and the feedback provided in the community satisfaction surveys indicates asset management is very important to the community.? It is also fundamental to Council?s financial sustainability.? For these reasons the position should be retained and made permanent in the structure. Note:? there may be additional remuneration required for the restructure of civil works. The model is the closest to Council?s existing organisation structure and is also the least expensive.? Commentary about the strengths and weaknesses of the existing structure is contained in the Organisation Review Report. A potential weakness with the model is the lack of management capacity to drive continuous improvement across the organisation.? This is the subject of comment in the Organisation Review Report, by the Consultative Committee and also in a number of staff submissions.? What it means is that opportunities for productivity savings, efficiency gains and revenue enhancement may not be realised. However there is also a risk that even after recruiting another Director those same productivity savings, efficiency gains and revenue enhancement may not be identified or realised for other reasons.? Whilst submissions often refer to the need for productivity savings, they are usually directed at ?other? sections of council.? For example, the Consultative Committee resolved to support the reinstatement of the third Director to, ?lead a continuous improvement program across the organisation to achieve productivity savings and efficiency gains to offset cost?, but at the same meeting expressed concern about the possible introduction of fortnightly pay.? Change to increase productivity will not always be popular, but as a business our owners (residents and ratepayers) expect that it will occur. ?positively co-operate in workplace reform to enhance the efficiency and productivity of the council and to provide employees with access to career opportunities and more fulfilling, varied and better paid work.? A major saving in the model is the non-replacement of the Manager Planning and Assessment.? Another risk is that as the ?bear? market in property eventually changes to a ?bull? market, additional staff resources will be required in Environment and Planning.? However the requirement for additional resources will arise regardless of the selected model.? There will also be some revenue offset through additional application fees. Note:? If the Manager Applications & Compliance was a town planner, there would be three Area Building Surveyors and one Town Planner (total 4).? If the Manager was a Building Surveyor then there would be two Area Building Surveyors and two Town Planners (total 4). 1.?? This model approximates the recommendation in the Organisation Review report whereby the General Manager becomes responsible for the Environment and Planning Department and Council recruits a Director of Corporate Services.? The position of Director Environment & Planning would become redundant, however Council can consider the redeployment of the incumbent to the position of Manager Applications and Compliance. 2.?? The model identifies the need to minimise the General Manager?s span of control so as to provide time for the position?s governance responsibilities.? For this reason Community and Cultural Services would report to the new Director Corporate Services. 3.?? The addition of a Director Corporate Services also provides the opportunity for the establishment of the Business Support Unit recommended in the Organisation Review report.? It is proposed that the Business Support Unit comprise all Executive Assistants, Administrative Support staff, Customer Service staff and Records staff.? Because of the training requirements for these staff it is not anticipated there would be a regular rotation of positions.? However the Unit will enable the allocation of the limited support staff based on the needs of the whole organisation rather than three separate ?competing? departments.? The unit would also encourage the adoption of processes which again are in the interests of the whole organisation rather than an individual department.? The Coordinator for the Unit should be a merit based selection restricted to existing staff.? There may be an additional remuneration cost for the redesigned role of the Coordinator which can only be determined when a revised position description has been assessed under the salary system. 4.?? Model 2 also incorporates the other changes proposed in Model 1, specifically a full time Ranger; Environmental Health Surveyor in lieu of contractors for ?septic tanks? and food shop inspections; changes to the roles of the Manager Civil Works and Senior Overseer and permanent tenure for the position of Manager Assets. Compared to Model 1, the financial outcome of this model is mainly determined by the redundancy of the Director Environment & Planning, the redundancy of the two Manager?s positions in Environment and Planning to be replaced by a single manager and the incorporation of a Director Corporate Services into the organisation structure.? Council can offer the incumbent Director Environment and Planning redeployment as the Manager Applications and Compliance at a remuneration to be negotiated.? Therefore a number of assumptions need to be made to provide a comparative cost. Note: ?there may be additional remuneration required for the restructure of civil works but there should also be savings with the Manager Assets who is currently entitled to a performance bonus.? There may also be additional remuneration required for the Coordinator of the Business Support Unit. There is a discussion about the strengths, weaknesses and risks in the Organisation Review Report and in the submissions from staff.? The apparent strength is that it provides a Director Corporate Services and accordingly more capacity in Corporate Services for financial management and governance activities.? The risk or concern is that this will be at the expense of the Environment and Planning Department.? In response the proposed structure minimises the number of staff directly reporting to the General Manager eg, the Manager Community & Cultural Services reports to the Director Corporate Services. The proposed Business Support Unit has the potential to improve the effectiveness of Council?s administrative support staff.? However the model is more expensive than Model 1, at least $31,000 per annum. Model 2 also has more potential for existing staff to be made redundant than Model 1.? In addition to the changes identified in Model 1, it also proposes the deletion of the position of Director Environment and Planning.? Therefore Model 2 has the greatest potential for ?one-off ? costs associated with employee redundancy. Note:? If the Manager Development & Building Services was a town planner, there would be three Area Building Surveyors and one Town Planner (total 4).? If the Manager Development & Building Services was a Building Surveyor then there would be two Area Building Surveyors and two Town Planners (total 4). This model approximates the former structure of the Council prior to the retirement and non-replacement of the Director Corporate Services.? Based on the submissions from the Consultative Committee and Council staff, this is the model which would most closely match their preferences. It does not incorporate the recommendations in the other models for a business support unit nor the splitting of the role of the Manager Civil Works between construction and maintenance.? It also retains the Director Environment and Planning as a permanent employee rather than a senior officer on a fixed term contract.? Of course these changes could be included in the model if required. Compared to the models with two Directors, there is additional cost associated with the recruitment of the third Director. The Model is essentially the current organisation structure with the addition of a Director Corporate Services.? Again the apparent strength is that it provides a Director Corporate Services and accordingly more capacity in Corporate Services for financial management and governance activities.? Unlike Model 2, this is achieved with less change in the Environment and Development Department. The major weakness is the additional cost being about $154,000 per annum more expensive than Model 1 and at least $100,000 per annum more expensive than Model 2. Under the Local Government (State) Award 2010, Council has certain duties in relation to workplace change and redundancy. Where a council has made a definite decision to introduce major changes in an organisation structure that are likely to have significant effects on employees, the council has to notify the employees who may be affected by the proposed changes and the unions to which they belong.? ?Significant effects? include termination of employment, major changes in the composition, operation or size of the council?s workforce or in the skills required, the elimination or diminution of job opportunities, promotion opportunities or job tenure, the alteration of hours of work, the need for retraining or transfer of employees to other work or locations and the restructuring of jobs. In these circumstances Council has to discuss with the employees affected and the union to which they belong, inter alia, the introduction of the changes referred to, what affects the changes are likely to have on the employees and measures to avert or mitigate the adverse changes on employees.? Council also has to give prompt consideration to matters raised by the employees and their union in relation to the changes and may reconsider its original decision. The discussion is to commence as soon as practicable after a ?definite? decision has been made by the council. Where a council has made a definite decision that it no longer wishes the job the employee has been doing done by anyone and that decision may lead to the termination of employment, the council has to hold discussions with the employee directly affected and with the union to which they belong.? The discussion shall take place as soon as it is practicable after the council has made a definite decision and shall cover, inter alia, any reasons for the proposed terminations, measures to avoid or minimise the terminations and measures to mitigate any adverse effects of the terminations of the employees concerned.? Measures to mitigate the adverse effect on employees may include consideration of re-training opportunities, redeployment, recruitment advice, the payment of relocation allowances, provision of additional notice, access to an employee assistance program, financial advice and such other assistance as may be reasonably available. The redundancy provisions under the Award are based on completed years of service with council and range between a nil entitlement for less than 1 year up to 34 weeks pay for 10 years or more.? These are the minimum provisions under the Award. Both Model 1 and Model 2 include ?significant effects? on particular employees as defined by the Award.? Therefore if Council wishes to adopt either model it needs to undertake a process of consultation with affected staff and their unions. There has been consultation with Council?s Consultative Committee, Council staff and their unions.? The Consultative Committee will be meeting again on Tuesday 13 March 2012 to consider this report.? The minutes will be circulated as a late item. The addition of a full time Ranger should enhance Council?s compliance role in relation to environmental offences, eg littering. The budgetary impacts are commented on in the report. Employee Representatives: Max Bryen, Rhys Edwards, Selina McNally, Jason O?Donnell (Chairperson), Chris Smith, Keith Williams; Management Representatives: Michael Coulter, Paul Gallagher, Greg Meyers and Secretary: Joanne Hudson. The Chairperson welcomed new employee representatives: Selina McNally and Rhys Edwards. The minutes of the previous meeting held on 7 December 2011 were presented for confirmation. That the minutes of the meeting held 7 December 2011 be confirmed. A submission has been received from a number of staff in relation to the recommendation by the Committee to change uniform providers. At this stage, there have been no changes implemented to the current policy. The General Manager explained that there appeared to be considerable staff time involved in administering the indoor staff uniform policy and questioned whether there was a more efficient way. For instance, paying the subsidy direct to the employee as a uniform allowance and employees purchase their own uniform outright. The Director Engineering Services explained that the purchasing of shirts under Council?s Sun Protection Policy had been transferred to the Store. He also clarified that all shirts were to have Council?s logo on them. 1??????? That the General Manager report back to the next meeting on proposed changes to Council?s Uniform and Dress Code. 2??????? That it be noted that all shirts ordered under Council?s Sun Protection Policy are to have Council?s logo on them and shall be ordered through the Store. That Selectus be invited to make a presentation to interested staff and senior management. That a date is to be set for Council?s HR Manager and Narelle Rich to review the policy and then report back to the Committee. The proposal to move to fortnightly pays is aimed at generating productivity improvements and cost savings. However concerns were raised that fortnightly pays would put financial pressure on employees. There was also concern that already tight timeframes would be even more difficult to meet. The General Manager advised that a meeting was scheduled to be held with Bellingen Council about an alliance. The Manager Human Resources was also to look into electronic leave applications for indoor staff. That the Manager Human Resources report back to the Committee. ?????? The Review Report prepared by Local Government Management Solutions should not be accepted because of the errors in the Report. ?????? Operational efficiencies with regard to outdoor operations should also be looked at. There were a number of areas flagged for efficiency gains ie ranger services, revenue raising (fees, charges and fines); section 68 contributions.? The General Manager advised that he had questioned whether it was a mistake not to replace the Director Corporate Services but the cost ($160k) of doing so didn?t pass the common sense test when? looking at the finances of the organisation, particularly in regard to infrastructure. He said if we spend $160k, the expectation will be an improved level of performance. Governance is a bottomless pit; you could put on two extra governance officers and the public would not see an improved level of service. A Director Corporate Services could get consumed with all that and not make any difference. The General Manager said that if Council reinstated the Director Corporate Services position, it would be imperative to establish a continuous improvement program which would involve working across teams on process improvement and improving communication between Departments. 1??????? That the Organisational Review Report prepared by Local Government Management Solutions be returned to the authors requesting that they amend the errors and undertake benchmarking against Division of Local Government Group 11 councils (ie councils identified as being Rural/Agricultural/Very Large/ Population 10,001 to 20,000) as identified in the Division of Local Government?s publication: Comparative Information 2009/10. Also benchmarking for DA processing against Group 11 councils as outlined in the Department of Planning?s publication: Development Performance Monitoring 2009/10. 2??????? That Council?s senior management structure comprise three (3) directors. 3??????? That, if the Director Corporate Services position is re-instated, senior management establish and lead a continuous improvement program across the organisation to achieve productivity savings and efficiency gains to offset the cost. 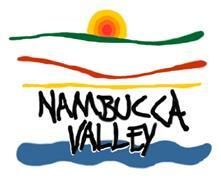 The next meeting of the Nambucca Shire Council Consultative Committee is to be held 23 February 2012. There being no further business, the meeting closed at 10.45 am. A few comments regarding the organisation review report. I know I have made some of these comments to you previously, but for the sake of completeness I thought I?d summarise them in an email. The position of Manager Assets was created (I believe) to provide a focus on establishing an asset management strategy and develop asset management plans for Council?s infrastructure assets. A key driver for this was the IPR process and the need for increased community consultation and the determination of agreed service levels. Initially the position was advertised as reporting to you, however between my interview and commencement the reporting arrangements had moved to DES. I understand this was done on the basis that the majority of known issues were associated with physical assets which were built and maintained by the engineering department and that working more closely with the engineering team would facilitate gaining knowledge of these assets. I don?t disagree with this arrangement, indeed in many organisations I am aware of ?asset management? is seen very much as an engineering function. I just raise this as a bit of background and to set the context for some following comments regarding workload and priorities. I also wish to acknowledge that in a small council such as this there is a need for us all to share the load and at times assist with duties and activities that are outside or peripheral to our core activities. As we have previously discussed I have found that, at times, attention to these other duties and activities has been a distraction from my core role of the development of asset management strategies, IPR documents and asset management plans. Some of these issues are in-house to the engineering department and changes the new DES has introduced have helped clarify the role of individual managers within the department and are leading to more efficient and effective work flows. To some extent I suspect there is some uncertainty as to the role of this position throughout the wider organisation and, as almost anything tangible can be considered an ?asset?, there can be a tendency to assume the ?asset manager? is the appropriate person to deal with all asset related issues. In terms of the proposed changes in the organisation review report the particular recommendations that relate to this position are that the Property Officer and GIS team report to Manager Assets. As I have said in an earlier email I don?t think GIS in itself is an IT function? it is a service to the whole organisation that relies heavily on IT and I assume that is the reason for its current location. That?s not to say it is an Asset Management function either but I do see that as we develop our asset management capabilities there will be a need for closer integration of asset data with spatial representation thorough the GIS. I have seen examples of structural arrangements with GIS reporting to IT or to an asset management team? both have worked. In light of my comments about distractions from the core purpose of my position I think that having a whole-of-business function such as GIS reporting to me would further exacerbate this as I would inevitably be drawn into issues relating to aspects of GIS service provision that do not relate to asset management or engineering functions. In terms of the Property Officer I would think that only a relatively small proportion of that role?s position would relate to actual asset management of infrastructure such as the aquatic centre and saleyards. It would seem the majority of that position?s role relates to land management and development of business opportunities relating to Council owned land and facilities? once again not necessarily an engineering, let alone asset management, function and I feel that having the Property Officer position report to Manager Assets would not be appropriate. I note that in your report to Council on the Organisation Review Report you comment: ?It is agreed that more resources need to be applied to the collection of asset data. Council?s Asset Management Plans will only be as good as the available data. That data currently has gaps and other data needs to be updated. The Manager Engineering Services proposes to use existing staff, electronic tablets and the existing Reflect software to improve the quality of data on Council?s assets.? I agree that additional resources dedicated to collection of asset data will be of great assistance in accelerating the development of Asset Management Plans and concur with your comments. As mentioned previously we currently have an arrangement that some of the GIS Support Officer?s time is intended to be used to provide assistance with asset data capture and ensuring asset information displayed through the GIS is accurate and current. To date we have only availed ourselves of this assistance on an ad-hoc basis, perhaps this support can be further utilised into the future wherever the GIS team is located as a means of contributing to the resource requirements for asset data collection and validation. I also remind you that acquisition of an Asset Management software package (previously deferred) during the 2012/13 FY will further enhance our capabilities. This submission is in regards to the recent organisation review and the relocation of GIS. Below you will find my observations and opinions since commencing work for the Nambucca shire Council about a year ago. I understand that the GIS section was placed in Information Technology (IT) to be a centralised function for all of council to allow jobs to be evenly prioritised.? The work conducted in the Engineering and environment/planning departments is more relevant to GIS than the work done in IT. GIS still needs to be a centralised function for the whole organisation, work will need to be evenly prioritised among departments. GIS uses computer software to conduct our work, but so do many other positions within the organisation (e.g. finance use Authority and engineering designer uses AutoCAD). Does this mean all positions that use computer software should be in IT? If GIS was to move away from the IT section, we could solely focus on our job GIS and let the IT Manager and Officer do their job IT. This would allow GIS to focus on map production, system maintenance and data collection/processing /validation, for the two main departments we deal with Engineering and Environment/planning. We should be more focused on data collection and validation to produce a highly accurate and informative system. The work we do with corporate services is minimal and going to the department meetings is generally irrelevant to our role within the organisation. The GIS is underutilised in parts of the Engineering department (excluding water and sewer) and could be used more effectively to graphically show and store information (e.g. traffic counts, road hierarchy, history of pavement rehabilitation/resealing etc). I would be willing and able to collect and manage engineering related data into the GIS system. In my previous role (Scientific Observer/data collection for Australian Fisheries) I collected data for CSIRO and related industry organizations on the field in challenging conditions. To collect accurate data in the most efficient method need would need a GPS/data collection device, transport and direction on what information is needed by each section.? To conclude, I think change is a good thing within the organisation, it takes people out of there comfort zones and allows them to grow and develop new skills. For some change can cause unease as they have been doing the same thing for so long, but organisations change in time (e.g. technology, organisational requirements and budget constraints). The GIS is a powerful tool for council and to take full advantage of this tool there needs to be effective communication between departments. We must work together as one organisation, not separate departments. I am taking the opportunity afforded to us to pen a submission in regard to the above report, as I believe that the report is fundamentally inaccurate and there are many anomalies contained throughout the report, albeit my main concerns, in my capacity as an Administration Support Officer, (ASO), in the Environment and Planning Department, are with both Recommendations 8 and 9. I have applied my name to a submission already received by Council, which the majority of the ASO?s in our Department have also endorsed, however I wanted to make a further submission in regard to issues raised in both Recommendations 8 and 9. ◙????????? Whilst I do agree that a Director of Corporate Services would be a ?Best Fit? in a Department that is currently struggling, as noted in the report, from lack of leadership, management, compliance and communication, it should not be at the cost of dessimation or demolition of our Department that is, again as noted in the report, functioning relatively successfully, regardless of the recent voluntary redundancy and resignation of key managerial and senior positions. ◙????????? If Council were to adopt a three (3) Director structure, as is already modelled in 17 of the 21 Group 11 Councils, the need to ?pull apart? other departments and remodel and restructure the positions of support staff and other senior positions would become obsolete. Perhaps this is a simplistic approach, however ?simple? can more often than not be more beneficial and less disruptive, and in turn much more productive and cost effective. ◙????????? The opening statement of this point identifies that ?many staff expressed concern about the lack of customer service presence on the front counter now that it is a part time role.? I cannot acknowledge that the establishment of a Business Support Unit, (BSU), would rectify this issue. On the surface, a BSU would be a ?fix? to the perceived issues of customer service, but it is NOT the ideal solution. ◙????????? Again the ?simple? solution would be to make the position of Customer Service Officer (CSO) currently attached to the Department of Environment and Planning, a full time employee (FTE) adding an additional 15 hours to the payroll. LGMS identify that the FTE could be increased by 0.5 ? hence this is what this is! This addition would negate the need to the disruption of all the ASO?s, all the Executive Assistants (EA?s), and the remodelling of their current roles to incorporate them into a BSU. ◙????????? If a new ?unit? is definitely perceived to be necessary, why not pool the cashiers, the switch, the rates support staff and a FTE CSO into a Customer Service Unit, (CSU), that is rotational? This structure would virtually be unchanged from the current one, as the unit could be headed by the Rates Officer, who currently is responsible for these staff members already, with the exception of the CSO, currently in the Environment and Planning Department. The only change would be the CSO go from part time to a full time position ? and this is already identified as a cost by LGMS. This solution would not open Council to the possibility of redundancies, as identified in the report. ◙????????? The specialised roles of all the ASO?s and EA?s could not be learnt or taught in a short period of time ? the costs of efficiency, time and training are not identified in the report as a ?cost? of the establishment of a BSU. The potential for errors by ?multi skilling? across a BSU open up a minefield of potential litigation, issues with GIPA, and dissatisfaction with service as perceived by the wider community. ◙????????? I cannot perceive that a report recommending the redundancy of a Director who ?has respect from the staff as a leader, an essential element of organisational change? can in any way be taken seriously. No other Director, in this report, was afforded the same accolade, and yet it is only this Director and his Department that is to be ?pulled apart? under the proposed restructure. ◙????????? LGMS state that they ?believe this may not be the best decision based on the short term risks of losing a Director who has the apparent respect of staff and by limiting the skill set required for future General Managers to be aligned to Planning.? So the question is: why even pen the recommendation? ◙????????? To identify that the General Manager, (GM), could take on the role of Director of this Department also, seems absurd in the extreme. Where will the GM find the time to be available for Counter enquiries, advice in regard to planning issues, DAU meetings, and other general day-to-day issues along with his GM duties? The current GM cannot carry out Class 1 inspections, and the current DEP is now the only officer inside Council?s organisation that can undertake these inspections, as a result of the recent resignations of both the Senior Health and Building Surveyor and the Manager of Building Services. ◙????????? The absence of the DCS since 2007 and the inability of the GM to cope with the additional roles required in regard to this position such as management, communication, compliance, staff discipline, etc would be evidence enough that to ?hand over the role? of DEP to him would result in the same issues, albeit in another Department, regardless of his ?Skill set?. ◙????????? The 3 Director structure, which would incorporate our current Directors with the addition of a Director of Corporate Services, (DCS), would negate the need for a lot of the proposed restructure and allow time for the resolution of significant noted issues such as the concerns over civil works, staff morale and lack of communication between management and staff in Corporate Services. ◙????????? In the long and short term, a 3 Director structure would, I believe, prove to be the most beneficial, efficient and cost effective structure available to Nambucca Shire Council. ◙????????? Sections of this recommendation contain inaccuracies in regard to percentages and statements in regard to operations. ◙????????? Whilst Council has utilised external contractors for inspections of Onsite Sewage Management Systems (OSMS) and Food premises, these inspections have been undertaken in a timely manner and we have met our requirements. The report notes that only 40% of inspections were achieved in regard to Food inspections, however in the year 2010/11 100% of primary inspections was achieved and this was forwarded to the Food Authority as part of our annual reporting requirements. ◙????????? Council is required to carry out at least one primary inspection of every food premises that fits into the categories of P1, P2 or P3, and in the last financial year Council achieved this. Some of our inspections last year were undertaken by ?in-house? staff, however we had the benefit of 2 additional staff members then, being the Manager and the Senior to assist with other matters. (The figure of 40% as indicated by the LGMS report and recommendation, appears to be inaccurate). ◙????????? Employment of an Environmental Health Officer to carry out these inspections would be a huge benefit. The ability to ?keep on top? of all the requirements and keep the inspections ?in-house? would be both cost and time efficient. ◙????????? In Option 3 LGMS state that ?Council would need to start operating a dog pound if the service was taken in-house. Costs would be associated with such a change.? Council currently does operate a dog pound that is situated in Kelly Close, Macksville behind the Works Depot off River Street. Whilst the contracted Regulatory Officer from Beach to Bush Animal Control does carry out functions on behalf of Council within the dog pound, such as impounding animals, euthanasing animals, feeding and maintaining impounded animals, etc, the costs for this are borne entirely by Council, both as part of the contract with the Regulatory Officer, and in payments to creditors for materials required for the ongoing and day-to-day operation of the pound. All release and maintenance fees are payable to Council and are included in Council?s Revenue Policy. ◙????????? I would, however, agree that the provision of this function ?in-house? would significantly enhance Council?s image with the community in that it would be a Council employee not a contractor and functions are more easily regulated, supervised and monitored, and would be much more cost efficient. ◙????????? The workshops attended by staff, with limited time allowed by LGMS, were not adequately reflected, in my view, either in the report or the recommendations. It would appear that a lot of the ?pros and cons? noted on the white board were not purported to be of any consequence in light of the final report. Certainly, in our workshop, there were more pros than cons, however this does not come through in the report. ◙????????? The report has only succeeded in increasing pressures and lowering the already perceived low morale of staff. ◙????????? Also, the cost of this external review has only added to Council?s current financial pressures, and in light of the anomalies and inaccuracies it cannot be deemed as money ?well spent?. In closing, I again thank Council for the opportunity to write a submission. I would ask that Council carefully consider the ramifications of implementation of recommendations contained in the Organisational Review Report, particularly Recommendations 8 and 9 with regard to the establishment of a BSU and the forced redundancy of the DEP. These particular recommendations are not in any way beneficial to Nambucca Shire Council. I would also ask that LGMS be requested to review the report to remove any inaccuracies and errors, and to look at a structure similar to those Council?s within Group 11 that have 3 Directors, being almost 81% of those Councils. It could also be beneficial if Council reviewed its financial policy in regard to assets and civil works to prevent the potential for crisis and catastrophe as identified. LGMS should be asked to review their recommendations in regard to the Engineering Services Department taking the above into account. Thank you for the opportunity to make a further submission in relation to the proposed business unit. Administration staff at Nambucca Shire Council (NSC) already have a broad skill set simply because we have less staff to do the same jobs as required in large Council?s. We already know a bit about a lot over the whole organisation. However our main skills and interests lie within the Departments in which we work, that is in Corporate Services, Environment and Planning or Engineering Services. ???? Staff already work together to cover holidays and overloads of work where possible. ???? A Business Unit is suggested to overcome problems of staffing the front counter. Most of the questions being asked at the front counter relate to planning. So it is a planning person that is needed to be there to answer them. At the moment the administrative staffing structure from Environment and Planning on the front counter is only 4 hours a day filled by a permanent part time position. ???? A Corporate services staff member has always been at the front counter during business hours. ???? Chain of command and pay structure ? if the Business Unit goes ahead the Manager of this Unit will have an increased number of staff they are directly responsible for and current Managers may have a reduced number of staff they are responsible for. What will happen to the pay scales and grades of the positions that are affected? What will happen to the chain of command for those Managers who currently utilise these staff in the running of departments and sections? Is everyone in the Business Unit going to be on the same pay scale? I do not feel that the functionality of how a Business Unit will work has been thought through. ???? I do not agree that the consultants should have recommended a particular person to be given this job. It would be a totally different position and should be advertised accordingly. ???? Cash Handling ? Under the present situation you have one cashier responsible for the security and balancing of the cash. If a Business Unit is created will this encompasses cash handling? There are security issues with floats, access to tills and end of day responsibility if the cash is out. ???? Some Corporate Service?s staff, myself included, are already cross-trained or training for assistance in positions outside the realm of the Business Unit for situations when holiday relief is required. The Corporate Services Department is already performing as a Unit. Similarly I would expect that Environment and Planning and Engineering Services have procedures already in place for the same situations. So what extra benefits would this business unit across the whole organisation achieve? ???? It has been said that we will all be doing the same jobs we do now. Maybe a better solution would be to look at the positions we have and tasks we do and streamline procedures and duties carried out rather than overhaul the whole organisation. ???? Council is looking to save costs I have had a limited exposure to Creditors but I believe if someone looked at heavily utilised accounts like Calvale (Mitre 10) and audited what is being bought, by whom and how often and the on costs of processing small invoices there may be some substantial cost savings to be gained with better procedures or planning in place. Look at where the money is being spent within Council gather the facts and figures and then determine how to reduce the costs. In summarising I do not feel that a Business Unit is going to change anything for the better. There are no imaginary staff that are going to appear to take on extra duties by putting us all under one umbrella. Although the organisation review does not appear to have any direct impact on water and sewerage staffing I will still offer the following comment. The non-replacement of the Director Corporate Services does not appear to have been a success as evidenced through Council?s failure to meet its reporting obligations and the low morale of staff. To try the same with the position of Director Planning and Environment would not seem to be a logical decision either, even given your background. You have your own job to do and that does not include taking on a Directors duties. What happens if you move on anyway ? there is even a greater hole to fill. Does the new GM by default now have to come from a planning background? If Council think that we are overstaffed I believe they are sadly mistaken? Where do that get that impression? Do you believe that to be the case and allow it to be reinforced? I believe many staff are underpaid for the workload and responsibility they have. I have not been made aware of the details of the formation of a ?business unit? for the delivery of support services but have only heard rumours that it is going to happen. This proposal would impact on management staff as well as the staff in the unit and I am not be in favour of it. Where is the consultation? The support staff have developed specialised skills and knowledge in related to the Department they operate in. I would contend that to move staff around different departments would lead to inefficiencies. The Engineering Department has a large amount of enquiries and complaints and the current support staff do a great job in dealing with them and directing them to the responsible officer where appropriate and have intimate knowledge of the issues we deal with. I would not like to see this resource diluted as it can?t be looked at as just a typing pool. Thank you for the opportunity to make a submission about the proposed formation of a Business Support Unit (BSU) at Nambucca Shire Council. In the Organisational Review Report to Council by Local Government Management Solutions their recommendation 8.4 is to establish a Business Support Unit. This is a response to concern raised by Council staff about the ?lack of customer service presence on the front counter now that it is a part time role?(p75). I agree that this is an issue. The decision to reduce this front line position was incorrect, in my opinion and has led to inefficiencies. For example, when there is no one working on the front counter and a customer comes in, they push a bell on the counter. Sometimes, it is my responsibility to respond to this. On occasion when I have done this, the customer has wished to speak to someone from Engineering or Corporate Services, which has meant that I have gone to the phone at the front counter and called that person out. Then I return to my desk, which is not all that close to the front counter. Worse, if that person isn?t there, I end up going from one end of the Council building to the other trying to find them. I consider this a waste of my time. If someone was at the front counter, this type of enquiry could be dealt with much more efficiently and smoothly and my work would be less interrupted. I?m sure Council can appreciate that constant interruptions can lead to errors being made as desk work is done in a piecemeal way. If a BSU is established it will not be possible to ?support the whole organization on a rotational basis? (p76), as the consultants claim. In my nine plus years with Council, with over eight of these spent in Environment and Planning, I have extended and deepened my understanding of building and planning matters to the extent that I am able to provide specialized administrative support, particularly to the planners. As well as having a breadth of knowledge about the work of our Department, I also have a depth that eases the workload on our already overworked professionals. If a BSU is established, we will all be expected to have a greater breadth of knowledge. This can only occur at the expense of its depth. I have no wish to be ?a jack of all trades and a master of none?. Further, with more people participating in tasks it may become more difficult to track who has performed certain tasks (because it could have been anyone) and who gave specific advice to a caller on the telephone. This is not impossible to overcome, but why make it an issue at all? At a meeting with the General Manager he suggested a model where our roles wouldn?t change at all. If this is the case, then what would such a model achieve? No issues have been identified with administrative efficiencies or of difficulties in getting the work done when people are on leave. We already have ways of making sure the work is effectively done even when people are on leave. A perfect case in point is when Teresa, Emma and I successfully acted in Barbara Parkins? position when she was on leave for four and a half months, together with another staff member being away on sick leave for six weeks. The consultants also stated that ?staff expressed an interest in multi-skilling?. This is not my experience of the administration staff at Council. I am only interested in gaining more skills in planning and other staff I have spoken to have expressed similar opinions. If there are concerns about coordinating administrative support to the whole of Council then I suggest that the Executive Assistants meet together fortnightly to discuss any upcoming projects or issues and to see where administration staff may be temporarily shared. In conclusion I do not support the establishment of a BSU as I cannot see any issues that it will resolve that could not be resolved by increasing the front counter position to full-time. Further, it will result in less valuable support being provided to Council?s professionals as the opportunities to increase our depth of knowledge will be decreased. I have no objection to its inclusion. Do you want your email below included as an attachment (in the open) to the report on the Organisation Review? I believe that the structure within the Department of Engineering Services is a departmental issue and I will not be making an individual submission. This needs to be the subject of discussion within the department with the ultimate recommendation coming from the Director. With respect to the issue of two Directors I consider that a decision to make any position redundant on the basis of the specific skills of other employees (in this case the GM) is totally floored therefore the position of Director Environment & Planning should be retained. What would happen when that employee (GM) left? Is the Directors position recreated? In relation to the Director Corporate Services it would appear that based on current performance this position is required to provide overall management of this function. Without knowing details of the proposed Business Unit and the possible impact on existing support staff it is difficult to comment. However I believe it is essential to at least retain the current Executive Assistant and Support Officer positions within this Department. The workload due to enquiries and engineering support requires consistency and knowledge of a broad range of issues that would be lost if this function were to be included in a Business Unit. Also I totally refute the existence of any conflict between myself and the Senior Overseer that would in any way impact on the performance of our duties to the detriment of Council. We always have and will continue to have a solid working relationship. Yes we do disagree on some issues however this does not constitute "CONFLICT"
I have to report to the meeting on 22 March so there isn't much time. The detail can follow but the overall structure to management level has to be reported to 22 March. Does this include submissions in relation to the meeting in your office with Max and myself? This was not a matter addressed in the consultants review. If so the time line is too tight and a lot more consultation will be required with yourself, the Director, Max and myself. Council at its meeting on 16 February resolved that all staff who have provided submissions be thanked for their input. The Council appreciates it's a very difficult process. I know from comments made to me by Councillors that they really value the input from the people who are actually doing the work - in addition to the usual reports from consultants and management. In terms of completing the project, a special council meeting has been set down for 5.30pm Thursday 22 March. I'll require any further submissions by the end of this week. It will probably come as no surprise that I do not support Recommendation 9.1 to make the Director Environment and Planning redundant.? A well-written report would provide a background, rationale and discussion so that when the conclusions arrive they are almost expected.? In my opinion that is not the case with the Consultant?s report on the Organisation Review.? The recommendation to make an effective and respected Director redundant seems to arrive out of left field as if drawn from a different set of observations and discussions.? Did the same person actually write the whole report?? It appears incongruous that the report which praises the actions of the Director Environment and Planning, then recommends he be made redundant.? Further, the supporting evidence is shallow and based on an unproven financial assumption that you can simply trade one Director for another.? The report appears to make this recommendation and then argue against it simultaneously.? A confusing message to staff and Council.? The report also recommends improvements in communication, leadership and strategic direction. (pages 60-62) It is therefore bewildering why a Director who has been proactively working with these principles at the fore, would be regarded as unnecessary to the organisation.? Just one example would be the regular DEP staff meetings which Greg uses to instil proper management, forward planning and teamwork into his staff.? It is my view that his approach is to be valued and that Greg could capably assist the Council to deliver Recommendations 1, 2 and 3.? Council already has the 2-director model and it does not work given the evidence from the report.? Further, given that there is no time frame attached to the report, there is the added risk that that Council may have to operate with 1 Director for a time ? possibly an extended period, should the DEP be made redundant and the recruitment of a suitable Director Corporate Services not fall nicely into place. If Council supports recommendation 9.1 it risks re-creating the problems manifesting in corporate services and losing a valuable team leader.? I also question a number of assumptions made under Recommendation 8 and how well thought through these are.? The Report recommends the creation of a ?Corporate and Community Services? department but the reasoning is shallow ? it is based on narrowing the scope of an Environment and Planning Department, nothing more.? In an apparent contradiction, the report also states that the section would only require ?overall stewardship? so why move the section at all?? Further, there has been no evidence presented which would show a positive outcome for corporate services if there are any.? There has been no consideration as to how the merger would financially impact on the levels of corporate support from externally funded projects given that they would be placed within the department.? Also, should community services be merged with corporate services there would need to be a corresponding increase in support staff to provide services provided by the current DEP administration support team.? I would like to think that this was a consideration in proposing a business support unit.? Although one should ask, why does the proposed business support unit exclude some key administrative support positions? Moving Community Services without administration support unit would create new pressure on the corporate services department?s few administration resources. Community services and libraries have been moved from corporate services in the past.? Some 15 years ago, Council decided it was more appropriate for corporate services to focus on providing services to internal customers.? Community services being an external service provider focussing on community development, was merged into planning and development where it has successfully sat since then.? Libraries was added in 2007 and has been a very successful arrangement in my opinion.? That leads me to offering a positive comment regarding the Organisational Review report and to put forward my support for the recommendation for additional library staff.? I have documented this in various reports to Council and wish to make it clear that we cannot run our own stand-alone library service without additional staff to provide the services previously supplied by Clarence Valley Council and the Regional Library.? I recommend the creation of a new Librarian position as suggested and their appointment as soon as possible (regardless of the outcomes of the Review).? In addition, 1 additional full-time equivalent position is required, possibly by increasing Library Officer or Assistant hours and then adding a new part-time staff member if necessary.? Libraries DO need additional staff and very soon. 1.?? Re-establish the three Director model and recruit for a Director Corporate Services. 2.?? If necessary, assess administration support by including all support positions. 3.?? Leave community services with Environment and Planning. 4.?? Adopt the community services team structure on Page 90. Note:? The community services team on Page 90 should show:? Community Development Officer (Aboriginal); Youth Development Officer; Library Officers (2 part-time not job share), Library Assistants (3 part-time). TheSenior Geographic Information Systems (GIS) Officer and GIS Officer positions are currently structured within the Corporate Services Department, reporting to the Manager Information Technology.? The Organisation Review recommends moving these positions to the Engineering Departments, reporting to the Manager Assets. Both GIS positions are located within the Corporate Services Department because the centralised function and service these positions provide relates to all of council, not a single department. When the GIS Officer position was first created in the early 1990?s, for a short time it was structured under the Engineering Department.? The GIS Officer was moved to the Corporate Services Department because tasks and projects were Land Information, Engineering and Town Planning related, and as stated above not single department related. The Organisation Review did not provide representation at Director or Manager level to staff in GIS, IT or Records.? Staff in GIS, IT and Records at the time of the Organisation Review reported directly to the General Manager as the Manager Information Technology position was vacant and Director of Corporate Services was not replaced.? It is questionable how the consultants made these recommendations relating to GIS, IT and Records without Director and Manager representation. My experience working in Corporate Services without a Director (and Manager) demonstrates the need for a Director position in all Departments.? It is difficult getting advice on operational and strategic matters and at times I am required to get this advice from Managers and Directors I do not directly report to. My role as Senior GIS Officer and also the GIS Officer position covers the ?Land Information? function by maintaining councils Property System.? The Property System is a key module within the Authority corporate IT system.? Staff who maintain other modules of the Authority corporate IT system such as the Rates system and Development Applications system rely on GIS staff to create and maintain property records before records can be created in their systems.? By placing more emphasis on Asset Management, the impact of not prioritising Property System maintenance will cause more stress in the Environment and Planning Department and further impact DA processing times. In addition to my role as Senior GIS Officer I am required to provide IT technical support, advice and assistance to council.? If the IT Manager or IT Officer are on leave or unavailable, I am frequently the only staff member who can provide this service to council.? As council is dependent on corporate IT systems and technology, it is important that council have skilled staff onsite at all times to provide this service. Of the comparative coastal councils,a majority of GIS positions are either structured within theIT or Planning Departments.? Where GIS is structured under Engineering or Asset Management, those positions relate only to Asset Management and not other work areas or departments.Many of the comparative councils employ ?Asset Officers?or ?Technical Officers? who haveskills operating GIS technology and additional skill in areas such as asset management and civil engineering. An agenda item at the most recent MIDGOC GIS Group meeting was ?Asset Management staffing?.? Of these councils, GIS is also structured in either IT or Planning, and some of these councils employ ?Asset Officers? or ?Technical Officers? within their Engineering or Asset Departments. Some are planning and proposing to move the ?Asset Officers? or ?Technical Officers? function to a centralised GIS work groups.? The recommendation to move GIS to Asset Management does not align with other Councils in MIDGOC. Nambucca Shire Council does not have Asset Management software,computer software specifically designed to manage asset such as roads, bridges, footpaths and water/sewer infrastructure.? Poor data management practices currently exist by maintaining and storing asset data within excel spreadsheets.As the asset data is stored unstructured within excel spreadsheets, it is currently impossible to link or associate these excel spreadsheets to councils GIS or other corporate information technology systems such as Authority or TRIM.? These poor data management practices are impacting GIS and other work areas including finance. Adding staff resources (Senior GIS Officer, GIS Officer) will notassist the Asset Management workgroup until Asset Management Software is implemented. ????? Employ a Director in each Department. ????? The Senior GIS Officer and GIS Officer positions continue to report to the Manager IT within the Corporate Services department. ????? The GIS function stays centralised providing a service to all departments of council (including Asset Management). ????? Begin Asset Management software implementation planning, determine organisational requirements for Asset Management software. ????? Improve communication between all staff involved in Asset Management (possibly by reforming Asset Management workgroup/committee). The following is a submission by Council?s finance team to the recent Organisation Review Report conducted by ?Local Government Management Solutions?. It is fitting to firstly point out previous submissions to past organisational restructures in particular to the omission of the Director of Corporate Services (DCS)? from the structure and subsequent reviews of that change. Back in October 2007 the finance team provided a submission to the General Manager?s request for ?views by council staff on the non-replacement of Director Corporate Services?. Whilst pointing out that the finance section were not resistant to the proposal and acknowledging that change is an important process for the development of Nambucca Shire Council as an organisation, the submission highlighted a number of issues discovered and perceived as a result of the trial non-replacement. Noteworthy was the issue of loss of labour resources i.e. Director (35hrs) & Part-Time Clerical Assistant (21hrs) impacting on planning time and future identified projects such as asset management. It was also pointed out that the Manager Financial Services (MFS) position would be impacted in relation to the role in budget and management plan formulation previously provided by the DCS. Importantly, it was foreseen by the finance team that the culture of the exceptional commitment of staff to their various roles in the team would be eroded through a perceived decline in morale from the intensified workload and pressure mounted on members in the team. In 2009 it was requested that consideration be given to the reinstatement of the DCS position or inclusion of a financial administration position that would relieve the corporate, legal and reporting workload that were previously provided by the DCS & Senior Administration Officer (SAO) positions. It was also pointed out by the finance team that despite the new Trainee Accountant developing well, workloads were influencing the meeting of statutory deadlines and strategic contribution and that undue pressure on positions would continue. The future conversion of the corporate software system compounded the above issues despite the request by finance to utilise a conversion timeframe of 18 months rather than six. It was pointed out in 2010 that the above coupled with the? completion of the financial statements and budget reviews have built pressure causing an increase in anxiety and stress levels in the finance section. It was also expressed that previous high standards of administration professionalism had appeared to have fallen in the Corporate Services Department. As shown above, there were many issues presented as concerns, that were drawn from relevant long term experience, well before the brief review conducted by the consultants from Local Government Management Solutions. v Concern that? the report was made widespread. ???? Due to the abnormalities and objectionable information associated with the report and recommendations plus the explicit advice by the consultants, the report should have remained confidential to the people expressed in the report. ???? The report insults the professional reputation of employees within the organisation and outside with the community and industry. ???? The release to all staff has created a sense of shock and a further hindrance to morale and productivity. ???? The understanding was that the report was to be presented to the General Manager (GM) and Council in the first instance. This is logical so that inconsistencies and anomalies could be corrected for a definite decision on the appropriateness and the future of this report could be made. The stress and heartache that has resulted to date could have been reduced or even avoided through this process. ???? The consultants also point out in their executive summary that further information and assistance is available to Councillors or the Executive. Staff feel isolated from the consultants, compounding their anxiety. ???? The report contains generic Organisational Development statements throughout (which are easy to include and always difficult to argue against), with little specific information on issues needing improvement. ???? What is described as a constant review of the structure since 2006 when a position becomes vacant is felt more likely by staff as just non-replacement or ?dumbing down? the position and asking remaining staff to do more with less. If more with less is the strategy then people need to feel like they are respected and part of a trusting team, treated fairly and equally. ???? It is understood that some of the councils mentioned for comparison are not Group 11 councils. ???? There are positions that have been completely left off the recommended new structure, but no mention of this is in the report. ???? There is no disclosure of where the financial information presented was obtained. ???? The point that Council is facing its hardest budget in at least 5 years is inflated as council has been aware and lived with this scenario for many years. ???? Also on page 87 it is pointed out that an IT and payroll alliance may be able to be formed. This would be difficult though, as each council has a different corporate software system. ???? Council have been continuously advised of its cash financial position and impending asset distress despite the insinuation on page 31. ???? Unrestricted cash has been utilised in a strategic way on projects through internal loans contrary to that mentioned by consultants on page 32. Also the high interest revenue that the consultants keep referring to primarily relates to restricted reserves such as water & sewerage. The consultants look at the two areas mentioned above to back the argument to look for efficiencies in financial management then note that financial analysis is beyond the scope of the review. Why include? ???? Late lodgement of the financial report is mentioned as ?particularly? noteworthy, but what the report fails to mention is that Council has been granted extensions except for last financial year. Many of the councils including close neighbours have been late to very late in submitting financial reports in the past. ???? It is noteworthy that the consultants failed to pursue more management structures other than the ?available? Narrabri one as mentioned on page 38. ???? It is also noteworthy that Council and the community do not consider financial management as an issue requiring addressing. ???? Many points noted from staff appear ill informed and it would have been prudent to uncover the accuracy of the information. ???? Many of the issues noted in the report have not been addressed in the recommendations, particularly ones noted as ?crisis?, ?poor planning?, ?communication? and ?accountability?. Where is the consistency? ???? On page 57 with regard to Waste Management there is little commentary and explanation which is in contrast to other sections. Where is the consistency? ???? Page 94 in the Implementation Strategy there is another example of token information with no detail actions just motherhood type statements.? ???? Not helping the integrity with staff of? this report was the feature that the recommendations weren?t part of the original report and that a period of two weeks lapsed. ???? There are no quantifiable statements. To make informed decisions costings need to be produced. Employee time is mentioned quite often which suggests a large additional cost. Further, particularly if the current working environment continues, there could be additional costs in relation to sick and stress leave, even workers compensation claims. ???? It is difficult to understand why the report focused on indoor staff and leave out the greater portion of council?s human resource being the outdoor staff with regard to human resource issues. ???? Under recommendation 8 on page 71 it is noted that compliance is the issue for finance and that the development of effective talent management strategies is required for HR. Therefore it is illogical that the most technical proficient, experienced and qualified human resource in finance be deleted. ???? With regard to the extension of time on page 72, Council have been continuously kept up to date with the timeliness of the financial reports and the impediments that have caused this. ???? With regard to training, the amount offered at the time of software conversion would have been sufficient except for the complication of irrelevant data and inexperienced trainers as well as the rushed process mentioned earlier which together hindered the learning environment and therefore staff were unable to gather the new processes and functionality. ???? Consultants were informed by MFS that working relationships were not affecting reporting compliance. Relationship issues were causing concern among staff and these issues could have quite easily been addressed if a mentor position such as the DCS was available. The statement on page 73 (1.) that a relationship issue ?is having a significant negative impact on all finance staff? ?a direct impact on Council?s ability to meet the required deadlines for submission of the audited financial statements? is not agreed to. It is disappointing that the Responsible Accounting Officer namely the MFS was not given an opportunity to dispel this view. There were other issues that created problems for the financial statements such as other departments being unable to submit or supply the required information and the fact that this was the 1st year Council used the Authority program for end of year statements. Page 55 states ?Civil Works is tracking towards a crisis, with a reportedly strained relationship between two key staff?. Based on face value, the question is asked where is the consistency in the recommendations? ?If you had a sore festering you would treat it, you wouldn?t leave it to become infectious?. Council?s finance section has worked exceptionally well as a team despite the recent issues regarding, no replacement of DCS, software conversion and Integrated Planning & Reporting implementation. The team?s regular monthly meetings have dealt with all work related issues which have been raised. ???? On page 73 (2.) the advice by the consultants to engage trainers of the Authority system to conduct face to face in depth training would come at a significant cost. This is not mentioned in the cost? points of this recommendation. ???? Further to page 73, it is pointed out that the finance function has not been delivering on expectations. It is pertinent to refer back to the stakeholders view earlier where financial management was not an issue of concern. The finance section feel they are held in high regard by foremost parties such as Council, Council?s auditors, industry groups and the community. It is acknowledged that service delivery has dropped but as mentioned above there have been abnormal circumstances that have contributed notwithstanding a drop in skill levels through staff departures. ???? Option 1 page 74 states that finance staff have accumulated significant amounts of leave. Once again the workload issues mentioned are the main factors for the leave accrued in the finance section. Further, staff were instructed not to take leave through the conversion of the new corporate software system. ???? Option 2 on page 74 appears misleading as there would be the possibility of more redundancies than mentioned given the significant changes to the structure. The consultants recommend option 2 as a strategic resolution, this is difficult to comprehend as it is reactive and would likely mean experienced, skilled and qualified staff being made redundant. ???? On page 76 it again is confusing whether the consultants are talking about people rather than positions in stating ?introduce a Business Support Team, headed by the current Environmental & Planning Executive Assistant?. It is understood that new positions need to be advertised with selection based on merit. Although this proposal will enable staff to learn other skills and allow a better rotation of staff, it is difficult to understand without more detail how combining all Customer Service into one will provide the customer service that is presently lacking. The experience of finance staff on the counter is that a real benefit to the public will be realised with a full time counter staff member alongside the cashier. The position would also relieve the workloads of other staff. ???? The Business Development function already reports directly to the GM contrary to the comment made by the consultants on page 77. ???? Only a portion of the concerns expressed by the consultants in the final paragraph on page 58 appear to be addressed in the recommendations. Where?s the consistency? ???? Councillors? expressed concern about the level of skills within the organisation on page 43. Again it appears that this point is ignored by the recommendations. The recommendations seem to contradict the councillors view of the GM?s job scope being too heavy. ???? The executive summary makes the point that if significant issues aren?t addressed, structural change will have little impact. The recommendations though relate to structural change rather than dealing with the issues head on. ???? In Recommendation 1 page 60 ?Council?s Integrated Strategic Plan? and ?four-year Delivery Program? are quoted. As a Group 3 council, Council was still under the Management Plan process and development of these documents is only now occurring. This is one of many examples that the report appears to ?copy and paste? from past reports on other councils. ???? It is recommended that regular meetings both within and across groups occur (page 61). Regular finance meetings were introduced years ago which is still continued. ???? Recommendation 2 being a Strategic focus on Organisational Development (pages 61-64) is littered with criticisms and lack of application with regard to Council?s Human Resources function but only watery conclusion to rectify these issues and to have these critical processes implemented. The opening comment that the HR function ?appears to be a having a minimal, if negative impact on the organisation? is alarming enough. Based on face value, the question is again asked, where is the consistency? ???? With regard to Recommendation 4 on page 66 it is highlighted that the relationship between Council and staff needs to gain mutual respect. It seems illogical that only the councillors and the leadership team meet to discuss these issues. Given the fact that staff have expressed a lack of confidence in management, they should be given an opportunity to meet with council also. ???? The discussion on page 67 points to high number of s.355 committees which suggests more involvement in council from the community it also reflects savings in staff time with regard to administration on the care, control and maintenance of council?s assets. Although efficiencies may be found in the number of agenda?s and council meetings more staff time would eventuate in the operational roles of the s.355 committees. ???? GM taking on a hands on role in Environment & Planning as recommended on page 78 would impinge on previous comments made by the consultants that a ?strategic direction is required with a more effective, engaging and consultative leadership, effective management to achieve a culture of accountability?. Will future GM?s need to have Environmental & Planning qualifications and experience? Legal and liability issues are also a perceived concern with this recommendation. It appears to be just shifting the same problems Corporate Services has to Environmental & Planning. Departments? also benefit by having a designated leader. ???? Contrary to that discussed on page 84, Council has been made aware on numerous occasions via budget reviews and end of year financial reports that council?s budget delivery and works program are affected by impromptu deviations from the budget. ???? Page 85 recommends the movement of some procurement issues to a manager in Corporate & Community Services but as part of the recommendations there will be one less manager in that department. ???? It is mentioned on page 86 of the criticalness of centralising the management of assets, yet very little detail of this strategic role is mentioned in the commentary with no concrete suggestions to moving forward. As finance provide support to the asset management function, it would have been prudent to discuss with members of the finance section the role of finance which is extensive and the information required for effective asset management. All sections and departments rely on each other to function effectively and serve our ratepayers. In conclusion, the finance team see organisational development as a proactive process but the anomalies, misinformation and inconsistencies contained in the report make it a difficult mechanism to be utilised for such a process. It is hoped that Council can see a way through the indifferent information presented from various sources to set a path of rectifying the now obvious organisational and human resource issues. In moving forward and at the same time ensuring financial sustainability, the finance team believe that a strategy be instigated to ascertain Council?s current service levels and community expectations with heavy involvement from all staff and to address potential savings, efficiencies and reductions in the areas of low priority. Consultation through workshops are seen as beneficial forums. With the advent of the new Integrated Planning and Reporting process setting out on this path is timely. The dangers of making structural change without appropriate costing including opportunity costs is clearly apparent with regard to the non-replacement of the Director Corporate Services and this cost appears to be still growing. At the end of the day revising the organisational structure may need to occur in areas identified by the organisational development process. A consultative approach should soothe fears. Finance staff have ideas. Notwithstanding, there needs to be commitment to ensuring outstanding tasks are brought up to date which may mean the engaging of consultants in the short term i.e. for financial compliance issues. Please find my submission to the Organisation Review 2011/2012 below for consideration. If council decided to continue with a structure containing 2 Directors as apposed to 3, I would strongly disagree with the recommendation of deleting the Director Environment & Planning from the organisation structure, moreover losing an experienced Director who is considered a valuable member of senior management and held in high regard by staff throughout the organisation. Greg has the full support and confidence of his staff (extremely valuable), not only does he afford the benefit of his experience and support to his own staff, his influence also extends to other departments. Personally Greg provides me with quality advice and is always ready to help with issues beyond my experience. We have already lost enough experienced staff (quality team members) in the last 6 months who will be not only difficult to replace but also, bringing new employees up to speed to a level the previous incumbents were at is timely and costly. Reverting back to 3 Directors will benefit the staff/organisation and Nambucca shires ratepayers as a whole, (without them physically realising). There are obviously costs associated with reverting back to 3 Directors. There are a number of decisions made throughout the year that far outweigh the additional cost of a Director, i.e. bridges constructed to benefit few residents, retaining saleyards that again benefit an extremely low percentage of residents. Trainee Engineer is shown in the proposed structure, during a previous Consultative Committee meeting it was agreed this position will be retained and advertised as an Engineering Technical Officer or similar. It appears from the proposed structure the Executive Assistant (ES) and Engineering Support Officer (ESO) will remain within Engineering Services as apposed to being swallowed up by the Business Support Team, this is good news, however additional support will be required if, as shown additional positions are moving to this department. Engineering Services Executive Assistant already provides valuable support to a large number of staff, exacerbated by the recent addition of Assets and Buildings to the Department, she works far more unpaid hours than she should and cannot be expected to provide support to additional staff. Quality Admin support is essential if staff further up the chain are allowed to carry out higher level duties, as they are expected to and paid for. The report also suggests that a Special Projects Manager would benefit the organisation by taking responsibility for seasonal projects such as landslips and take greater control over the use and manage the outcomes of external contractors. This position has not made its way to the proposed organisation structure; therefore the additional responsibilities as outlined continue to fall on existing staff. I believe the addition of the abovementioned position would be of great benefit, when not dealing with landslips or contractors he can look at mitigation measures to circumvent landslips and property damage during intense rain events. This position can be closely aligned with the Manager of Civil Works who, as recommended should become more project management focussed. Result: Efficient management of projects and potential mitigation of landslips and property damage resulting in reduced claims against council and hopefully fewer costly landslips. Traffic Officer or Development Engineer ? In vain I?ll continue to ask for the reinstatement of a full time position dedicated to traffic (council previously had a full time Manager of Traffic) or alternatively a Development Engineer. In terms of remuneration the report suggests there are an adequate number of managers within the organisation, however from observations and as the report also suggests there is an insufficient number of support staff and outdoor staff for the organisation to run efficiently. ?When compared to other councils, Nambucca employs significantly less than the median,and spends close to the median per FTE?. For a majority of the recommendations in the report the cost for implementation appears to be employee time, particularly at management level. How is this employee time going to appear? The proposed leadership development program is no doubt a good idea and may be of benefit, however resources would need to be provided to cover for attendees. Efficiency - Many of the managers within the organisation are far too operational fielding day to day enquiries that could be dealt with by a competent officer or in fact support staff, this would then in turn free time for managers to concentrate on higher level strategic duties and risk management. Recommendation 9 ? Staffing levels in the Planning section and now Health and Building need to be addressed, council has already lost quality staff in this area. The Planners need a Supervisor/Manager for the exact reasons outlined in option 1: supervision, operational guidance, peer review, complex enquiries, cover for absent staff and a career progression opportunity for existing staff. ?With the removal of the Manager Planning and Assessment position, the council now has 3 FTEs less than half of the median, which stands at 5?. It has been identified within the report that outdoor staffing levels are below that of comparison groups and ?that resourcing requirements for Engineering should commence immediately?. If council wants staff to clean up after natural disasters, complete the capital works program as well as provide acceptable service to the public this recommendation should be taken seriously after all ?Civil Works are tracking toward a crisis?. Council needs to decide if it wants to become an ?Employer of Choice? by investing in their brand or wether to continue with its existing path of high staff turnover, declining morale with limited opportunities for career progression. ? It appears that morale is low in part due to the constant change and reduction of positions in the organization?. If staffing levels cannot be increased, or in fact they are cut, staff and the public need to be informed as to what levels of service are going to be sacrificed or reduced. See below for my submission to the Org Review. The IT section at Nambucca Shire Council currently encompasses three distinct functional units representing Information Technology, GIS and Records Management. All three units currently report to the Manager of Information Technology. The report presented by the consultants makes a number of recommendations regarding this structure. First and foremost it is recommended that the GIS section become part of the Engineering section and report to the Manager of Assets, with a secondary reporting line to Environment and Planning. This would seem to be a logical placement for GIS resources with their primary function being to service requirements from these sections. However there is the obvious issue of potential resource contention and conflicting priorities. Remaining a part of Corporate Services may alleviate this somewhat. Additionally, GIS resources have also traditionally provided backup for IT when staff may be over burdened or away. Secondly, the report recommends that Records Management become part of the proposed new business unit. Records Management is strategically aligned with IT primarily because of the advent of Electronic Document Management Systems (e.g. TRIM) and their ability to effectively manage electronic records. However, in terms of policy development, standards, compliance etc records can only be described as loosely aligned with IT, with Information Technology being simply an enabler. As such, I agree with the recommendation that Records staff no longer report to the Manager of Information Technology, and instead become either an independent section reporting directly to the Director of Corporate Services, or as part of the proposed business unit. We refer to Council?s proposed Organisational Restructure Report and recommendations provided by Local Government Employment Solutions. Firstly, the repercussions of Council placing the Report on public exhibition, despite the advice of its authors to the contrary, not only beggars belief but has also further contributed to the low morale which is evident among Council employees and particularly Union members. The Union has sought input from our members in significantly affected positions and those members have serious concerns regarding the report and in particular the number of times the recommendations of the report are not supported by the report itself. It is our understanding that these submissions have also been provided to Council, however, we can pass on copies if this is not the case. We believe that deleting a Directors position is not the solution to this problem, and for previous history on this type of solution, Council only need look at the deletion of the position of Director Corporate Services, and the difficulties, many of which have been identified within the Report.? However, those problems too should be resolved; the solution is not just to make positions redundant to suit the current situation. The Report from LGES contains many errors and it is our suggestion that these should be rectified and they be asked to provide an opinion on the best way to have this matter resolved, rather than having to work within specific parameters which are given to achieve a desired outcome. Further, we suggest that Council retain the current structure with the addition of the position of Director Corporate Services for a period of 2 years and allow that structure to settle, prior to making any positions redundant and conduct a monitoring and review process during that period, with good organisational support, we believe good outcomes will be achieved, rather than reacting to a flawed report. As our Official Narelle Rich will be attending a meeting with members at Council next Tuesday at 3.00 pm, she welcomes the opportunity to speak with you further about this matter then. To even provide a summary of the submissions from our members would be a mammoth task so we suggest that consideration should be given to reviewing these submissions prior to the meeting on Tuesday. Should you have any queries regarding this matter, please contact Regional Organiser Mrs Narelle Rich on 0419 447 054. ????? I believe that the Information Technology Department did not get full representation at the time of the review as there was no management representative for the section. ????? I do not agree with the splitting up of the current Information Technology structure and would recommend it stay as it is.? To ensure delivery of current services, to keep up with the ever increasing workload and now taking Libraries on board from 1st July, we need to at least retain current staff members.? To move GIS services to another department would deplete our expertise.? During times of leave and high work demands the skills and availability of our GIS staff are vital.? They currently service all departments within Council and I fear this would be lost if they were to move into the Engineering/Assets unit.? ????? I don?t believe that Information Technology resources can be shared with other Council?s as each Council uses site specific IT infrastructure.? In the event of hardware/software failure it would be extremely frustrating for any staff member if they could not carry out their normal duties if we had to wait for someone to arrive on site, from say Bellingen/Kempsey (especially in times of floods). ????? I believe that the position of Corporate Services Director should be reinstated so all relevant sections under that Director will once again have a voice.? For the past eighteen months we have not had a Manager Information Technology (one was appointed as at 16th January 2012) nor a Corporate Services Director, as a result, a lot of issues have not been brought to the attention of General Manager due to his current workload and availability. ????? The incumbent of this position should have IT background as well as a finance background. I don?t believe that this should even be considered given the negative experience of not having replaced the Corporate Services Director; it is just shifting the problems to another area. If this Unit is established I would like to see the position for Coordinator advertised externally and internally.? There seems to be an assumption that this position would be given to a current staff member.? Advertising externally will ensure that the most qualified and appropriate person is appointed and in keeping with EEO requirements.? I came from a Victorian Council which went through the amalgamation process and all positions were declared vacant, thus current staff had to reapply for their own jobs as well as having the opportunity to apply for any other position in the organisation.? All top line management positions were advertised externally. Not filling vacant positions does have a negative impact on staff for varying reasons, since the commencement of the review there have been more staff departures, placing more pressure on already depleted staff, I fear this will lead to more departures before the process is completed, thus putting more pressure on remaining staff to take on extra workload without any extra salary or thanks. ????? I believe that more training is needed for appropriate staff but wonder if this will come to fruition given the level of budget cutbacks, plus salaries on offer do not attract people with higher qualifications and appropriate skills. ????? I agree that something needs to be done to the staff appraisal system as this is not workable in its current form.? Some staff have been disadvantaged by being at the top end of their level for years with nowhere to move.? In the past, Information Technology Department staff appraisals were never done on a regular basis. ?